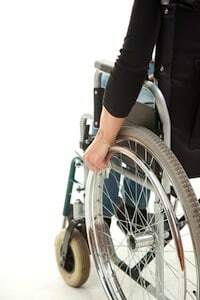 Brain injury, spinal cord paralysis, burns, loss of limb, eyesight or hearing as well as other life changing events are considered catastrophic injuries. Most all personal injury attorneys can ably represent negligence victims of ordinary car accidents, and other liability events. But, clients who have suffered a catastrophic injury need lawyers with vast experience, skill, and resources to compensate for losses and secure their futures. At Gerson & Schwartz P.A. we have been proud to represent catastrophically injured people and families for more than 40 years. Defective products, dangerous instrumentalities, ultra hazardous activities, criminal victimization's, medical diagnosis or treatment failures, and injuries on board vessels from row boats to supertankers fall under the large umbrellas of our experience. It has been our privilege to help victims of catastrophic life changing events by going far beyond the usual limits of law firm representation in or out of court. All mechanisms of brain injury are within our experience. Every type of traumatic brain injury is on our roster of past and current clients. Subdural hematoma, epidural hematoma, penetrating brain injury, closed head deceleration (or less commonly acceleration) brain tissue shearing, also known as closed head injury causing diffuse axonal injuries have presented to us as clients. Likewise, non-trauma related disease process, tumor, masses, birth injury, anoxic or oxygen deprivation origin, toxic exposure from aerosols, drugs, gasses, heavy metals or other environmental factors have been covered in our extensive experience. Severe brain injury causing coma, significant motor dysfunction, or substantially depressed cognitive abilities (memory, reasoning, emotional response) requires special understanding of both public and private sector available resources to help our clients. Moderate to mild brain injury cases often require high technology imaging studies and neuro-psychological evaluations to measure impairments and recommend treatment options. Getting full and fair compensation is just part of our job. Guiding our clients into the next phase of a brain injured life is part of our comprehensive program to help. Traumatic injury, systemic disease, or environmental factors can all impair spinal cord function and cause unmanageable pain. 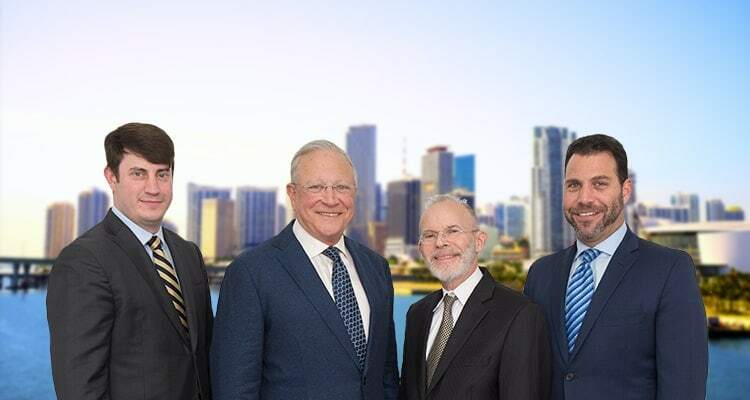 Our firm has represented victims of complete and partial quadriplegia, paraplegia, nerve impingement and other degrees of harm to vital spinal cord structures. Every case is different. Loss of motion, sensation, motor control, spasticity, bowel, bladder and other dysfunctions all occur in spinal cord injuries. Extensive experience is needed for a lawyer to understand how to evaluate and measure the future needs of these life changing injuries. Future life care planning, guardianships, financial management, physical rehabilitation, occupational rehabilitation, speech pathology and other modalities of therapies are commonly needed by spinal cord injury victims but not fully understood without the experience of having helped many learn to cope with the new realities of life following this kind of catastrophic injury. Current medical research is breaking new ground with stem cell therapies and electronic technologies to help compensate and in some cases even overcome the harms from spinal cord injuries. Victims of fire, convective heat, electrocution, and other causes often suffer severe third degree burns. These traumatic injuries can destroy all layers of skin tissue depriving significant areas of body surface of natural contour, hair growth, elasticity, sweat and other glands, and make coping with the environment totally different than it was in pre-injury status. Injury attorneys representing burn victims must understand the pathology of burn injury, how it is treated by doctors and the life style accommodations needed to cope after maximum recovery. We have helped clients and their families' find the resources and palliative care needed to cope with irreversible permanent burns to every part of the body. Fortunately, plastic surgical reconstruction, skin grafting, artificial skin, and new chemical agents are now being used to assist serious burn injury victims. We are familiar with these advances and work to make sure our client's financial recovery includes adequate sums to pay for them. Amputations from both traumatic injuries and disease processes affect many people. Although, the challenge of coping with loss of limbs may seem obvious there are many benefits to be gained from experience representing victims. The effect of amputation on remaining body structures must be understood to assess long term changes accommodating the loss. Frequently, secondary manifestations of loss of limb affect other limbs or body systems. Often these effects are deferred for decades but must be compensated when the case is resolved; so careful assessment is needed for these victims. Amputation has occurred frequently to military personnel fighting the wars of the 21st century in the Middle East. To meet the growing needs of service men and women as well as accident victim's new technologies are being developed. Our law firm performs extensive research in each amputation case to help our clients obtain adequate compensation and get access to the most sophisticated and effective prosthetic man made devices. Few people who have not studied this topic comprehend the remarkable artificial assistive technologies available to help victims. We make it our job to connect our clients with the resources which will help them most. Nothing is more precious that eyesight. Its impairment or loss dramatically changes the way people can relate to others and the environment. Although the effects of this loss seem obvious there are many advantages to experience. Helping both clients and those whose wrongful conduct requires them to compensate clients must be made to understand the difficult adjustment to be made. Although there is no substitute for normal vision, as with other cognitive functions, technological advances promise accommodations and virtual substituted vision medical devices. Likewise, new assistive robotic surrogates can augment the visual help and love of a companion dog. We have the experience to help guide our clients through these difficult adjustments. No less precious is the loss of hearing. Few people understand how its manifestations go beyond inability to understand the spoken word or enjoy music. Balance, spatial relationships of moving objects, and warnings of environmental danger are just a few of the underestimated consequences of auditory loss which a victim needs his/her lawyer to fully comprehend. As with other catastrophic losses new technologies are helpful and bring much promise for the future. We can help our clients and adversaries understand adaptation, adjustment, and compensation for loss of hearing. To be sure, the above is not an exhaustive list. Everybody system is essential for the full enjoyment of a normal life. A comprehensive list is not possible to publish here. However, we have the experience injury victims need to get full fair compensation for catastrophic injury from neurological, organ loss, systemic diseases as well as product, drug, occupational, and environmental exposures. Contact Us If You or a Loved One Has Suffered a Catastrophic Outcome. If We Don't Have the Specific Experience You Need, We Know How to Find the Lawyers Who do and Will Refer You to the Specialist Best Suited to Help.